Made for only one year this is one of the rarest Accutrons made. Made with a steel case instead of gold-filled. As far as Accutrons go, this has to be one of the rarer models. 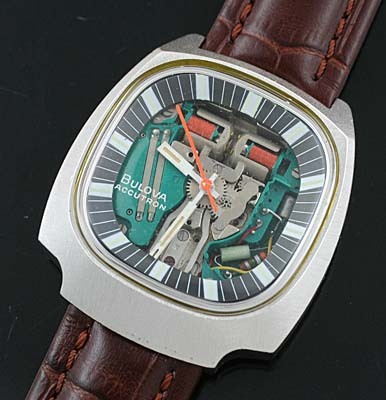 Refred to as the Anniversary Spaceview model, this watch was only produced in 1975 to commemorate the 100th Anniversary of the Bulova Watch Company. 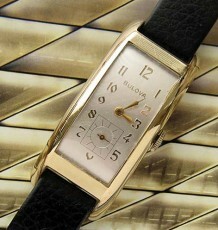 In designing the watch, particular attention was paid to make sure the case resembled the iconic tuning fork shape that has become synonymous with the Bulova brand. 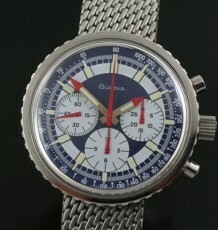 The watch has the rarer stainless steel case instead of the more frequently seen, gold-filled models. 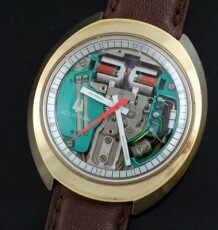 The dial and movement are in stellar shape and a fresh battery was installed in the watch. 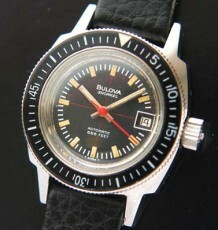 The watch is supplied on a leather strap but also comes with the original signed stainless steel bracelet. The case measure s38.5 mm wide by 42 mm long. This is a substantial watch on the wrist.